As a world renowned enterprise in communication and information technology industry, Cisco’s networking products have been gained worldwide reputation among these years. Fiber optical transceiver is a networking technology used within buildings in local-area networks and across great distances in wide-area networks. 1000BASE SFP modules with various protocols offer optimized 1G Ethernet connectivity for diverse networking environments. Cisco SFP modules include 1000BASE-T SFP, 1000BASE-SX SFP, 1000BASE-LX/LH SFP, 1000BASE-EX SFP, etc. This passage would put emphasis on Cisco SFP modules and comprehensively present the Cisco SFP datasheet. Cisco’s industry-standard SFP is a hot-swappable input/output device that plugs into a Gigabit Ethernet port/slot, linking the port with the fiber optic network. SFPs can be used and interchanged on a wide variety of Cisco products and can be intermixed in combinations of IEEE 802.3z- compliant 1000BaseSX, 1000BaseLX/LH, or 1000BaseZX interfaces on a port-by-port basis. All of the Cisco 1000BASE SFP modules were certified and tested for superior performance, quality, and reliability. So the customers could rest assured to plug these hot-swappable input or output device into the 1 Gigabit Ethernet ports. Nowadays, they have been widely applied to data center, high-performance computing networks, enterprise core and distribution layers, and service provider applications. Basically, there are totally 12 form factors of Cisco 1000BASE SFP modules. Owing to time and space limitation, we would briefly introduce Cisco 1000BASE-SX SFP, Cisco 1000BASE-LX/LH SFP, Cisco 1000BASE-EX SFP, and Cisco 1000BASE-ZX SFP. The Cisco 1000BASE-EX SFP operates on standard singlemode fiber optic link spans of up to 40 km in length. A 5-dB inline optical attenuator should be inserted between the fiber-optic cable and the receiving port on the SFP at each end of the link for back-to-back connectivity. Like the last one, the Cisco 1000BASE-EX is also a Cisco singlemode SFP module, the detailed datasheet is shown in the following table. The Cisco 1000BASE-ZX SFP module operates on standard singlemode fiber optic link spans of up to approximately 70 km in length. The SFP provides an optical link budget of 21 dB, but the precise link span length depends on multiple factors such as fiber quality, number of splices, and connectors. This Cisco singlemode SFP datasheet is shown in the following table. 1000BASE SFP transceiver is the most commonly used component for Gigabit Ethernet application. And Cisco SFP modules account for a large share on Gigabit Ethernet optics’ market, which are paramount for data centers, enterprises and etc. With so many types available in the market, careful notice should be given to the range of differences, both in distance and price of Cisco multimode SFP and Cisco singlemode SFP module. FS.COM will be a good choice with good compatibility, support offerings and great reputation. Why Not Use Third-party Dell SFP Transceivers for Your Dell Switches? As a giant in IT technology, Dell’s products have been warmly welcomed by many Ethernet users over the years. From low-end Dell N1500, N3000 and N4000 series to the advanced Dell Z-Series, Dell provides a range of switch products for smaller enterprises and large campus networks. As basic and indispensable fiber optic components in fiber optic communication, SFP transceiver module plays a prominent role in optical transmission. This article will discuss what kind of third-party Dell SFP transceivers are compatible with Dell switches and which fiber optic transceiver manufacturer is the most reliable. Dell divided their switches series as: web-managed switches, managed campus switches, modular chassis switches, data center switches, M-Series blade switches, Fibre Channel SAN switches, and high-performance computing switches. Dell puts emphasis on 1G/10G/40G switches. And thus, they manufactured a number of SFP transceiver modules, SFP+ modules, QSFP+ transceivers and DAC cables. Dell SFP transceiver delivers fiber connectivity to extend the range of your network. Dell 1000Base-SX, 1000Base-LX, 1000Base-ZX, 1000Base-Bidi, 1000Base-T are designed for SFP ports on Dell switches to support 1G Ethernet transmission. The Dell networking 1000BASE-SX SFP transceiver module provides 1GbE connectivity up to 550 m. This hot-pluggable transceiver with SFP (Small Form Factor Pluggable) footprint features a duplex LC connector. Additionally, it provides a unique enhanced digital diagnostic monitoring interface, which allows real-time access to device operating parameters such as transceiver temperature, laser bias current, transmitted optical power, received optical power, and transceiver supply voltage. In addition to Dell original SFP transceivers, there are many third-party vendors who produce Dell compatible SFP transceivers, such as FS.COM. Our Dell SFP Transceivers are designed and tested to be fully compatible in all Dell switches, networking, and data center product lines and applications. We offer a wide variety of Dell SFP transceivers compatible for Dell switches, such as Dell Networking SFP-1G-LX 850nm (multimode), Dell Networking SFP-1G-LX 1310nm (singlemode), Dell PowerConnect 1000BASE-EX SFP 1550nm (singlemode), Dell Force10 Networks 1000BASE-SX SFP 850nm (multimode), and etc. There are so many third-party transceiver manufacturers providing compatible Dell SFP transceivers modules for Dell switches. But which fiber transceiver supplier should you choose? The answer is FS.COM. Now let’s see why FS.COM is more advantageous by comparing Dell with FS.COM Dell SFP. The alternative Dell SFP transceivers are limited at Dell 1000Base-SX, 1000Base-LX, 1000Base-ZX, 1000Base-Bidi, 1000Base-T. You can rarely find 1G SFP transceiver modules on their official website. FS.COM provides a wide range of Dell SFP transceivers. Like being mentioned, Dell switches support some fiber transceivers from third-party fiber optic transceiver manufacturers. FS.COM offers many Dell compatible SFP transceivers, Dell networking compatible 1000BASE-T SFP copper transceiver, Dell PowerConnect compatible 1000BASE-SX SFP transceiver, Dell Force10 Networks compatible 1000BASE-ZX SFP transceivers, and etc, which can meet your various requirements for Dell switches. Optical fiber transceiver attaches great importance to every brand, retails and customers. Reputation always comes first. Some manufacturers, however, produce SFP transceiver modules with low cost to attract more buyers and make profit. But their Dell SFP compatibility cannot be guaranteed. For FS.COM, we have switches from Cisco, Dell, Extreme, Juniper and other famous brands in our test center. Every fiber transceiver offered by FS.COM before shipping has to go through strict test to assure 100% compatibility and high performance. In addition to fiber transceiver quality, fiber transceiver price is another vital factor before you buy optical fiber transceivers. Comparing Dell SFP transceivers’ price of FS.COM with that of other fiber optic transceiver manufacturers, it is obvious that FS.COM has more advantages. That is one of the reasons why FS.COM wins popularity among customers. You can check the following table about price discrepancy between original Dell SFP transceiver and FS.COM Dell compatible SFP transceiver. If you need Dell SFP transceivers for your Dell switch, you can buy it from both Dell and third-party vendors. How to choose a reliable supplier from so many third-party Dell compatible fiber transceiver manufacturers? Before buying fiber optical transceiver, the quality, compatibility, price, shipping, after-sales service should be considered. As one of well-known third-party fiber optic transceiver manufacturers, FS.COM is suggested to be a good choice for Dell SFP transceiver. MikroTik Switches have been popularly received favorable reviews, and this is inseparable with their keeping on the bleeding edge of switching technology. As a new member of MikroTik Smart Switch series, cloud core switch, also called cloud router switch, combing the best features of a fully functional router and a Layer 3 switch. That is to say, this cloud router switch works as both switch and router to connect the VLAN. 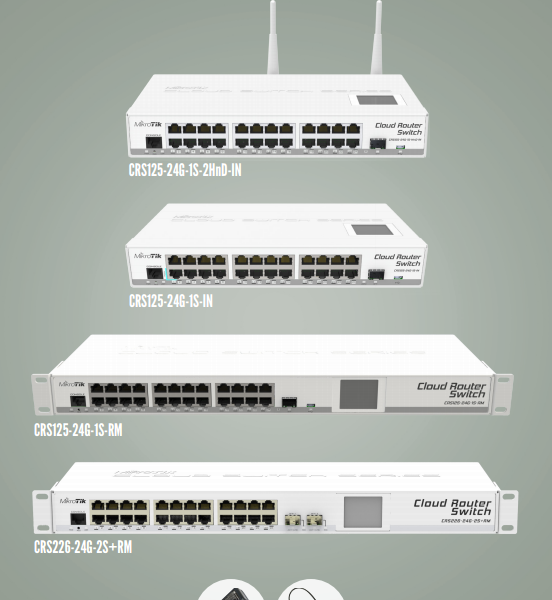 This article would mainly discuss about cloud core switch, CRS226-24G-2S+RM switch and its connectivity solutions, as well as the reasons why they are economic choice for L3 switch. 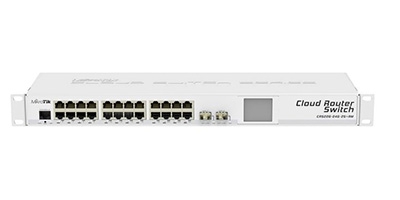 As being mentioned, the cloud core switch CRS226-24G-2S+RM has 24 Gigabit ports and 2 SFP+ ports. For the twenty-four 10/100/1000 Ethernet ports, you could use both network cables and optical transceivers to connect. The transmission speed of Cat5 and Cat5e cables can be up to 100 Mb/s and 1G respectively. Besides, you can also use 10/100/1000BASE-T copper transceiver to make network connectivity. But it costs more than the network cables. In terms of 10G SFP+ ports, there are also two connectivity approaches. You can use both 10G SFP+ modules and 10G SFP+ DAC copper cable to connect. Relatively speaking, the 10G DAC cable is cheaper a lot than the 10G transceiver. But if transmission quality is your pursuit, and then 10GBASE SFP+ transceivers would be a good choice. Why Are Cloud Core Switches Economic Choice for L3 Switch? According to the above description, cloud core switches are powered by Router OS. RouterOS lets you add upper layer functionality. The cloud core switch is very far below wire speed when doing layer 3 or above. In fact, the cloud core switch is more of a bare-bones layer 2 switch that has an embedded low-horsepower router. In short, the switch features are useful for making bridges that work at wire speed, but they’re limited to simple forwarding and vlan handling. The bridge feature lets you glue almost anything together, and gives lots of filtering/manipulation tools, but it cannot perform at wire speed because it uses the main CPU. Last but not least, the average prices of Mikro Tik cloud core switches are not more than $150, you can check them by this link. Cloud core/router Switch is a managed switch that runs RouterOS and SwitchOS, which delivers a high performance as a Layer 3 switch. They allow to manage port-to-port forwarding, apply MAC filter, configure VLANs, mirror traffic, apply bandwidth limitation and even adjust some MAC and IP header fields. The economic L3 switch including several switch models covering wide range applications, like enterprise network and home network. During the deployment of bandwidth-intensive applications over local area networks (LANs), many factors should be considered, like the speed, the infrastructure, the transmission media, etc. One of the most important things is the cost. 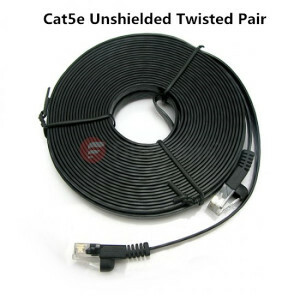 Many LANs already use CAT-5 cabling. Replace these cables with fiber optic cable might cost a lot. For some companies which might have tight budgets and must leverage their existing infrastructure, 1000BASE-T would be a nice and cost-effective way to upgrade their LAN. 1000BASE-T is Gigabit Ethernet that provides speeds of 1000 Mbps (1 gigabit is 1000 megabits per second) over four unshielded twisted pairs of cabling rated at Category 5/5e or better. 1000BASE-T specification allows a segment with a maximum length of 100 meters due to signal transmission limits, which can be used in data centers for server switching, LANs, for uplinks from desktop computer switches or directly to the desktop for broadband application. One of the advantages of 1000BASE-T is cost-effective. Fiber optic cables are gradually replacing copper cables in today’s telecommunication network. However, given the high cost of replacing copper cables with fiber optic cables and the low cost and good performances of 1000BASE-T, many companies might choose the 1000BASE-T system to upgrade their network and enjoy Gigabit Ethernet over copper cables. The following text illustrates the reasons why 1000BASE-T is one of the most cost-effective high-speed networking technology available. No need to replace copper cables with fiber optic cables—it is known that copper solutions havtraditionally been lower than fiber-based solutions. As many companies still use Cat 5 twisted pairs, the replacing of copper into fiber optics will cost a lot of money and time. With the application of 1000BASE-T, companies can upgrades their local area network, data centers, etc. by using their existing copper cable place which would be time-saving and cost-saving. No need to change Ethernet equipment and infrastructure investments—if you replace all the copper cables into fiber optic cables, you would be forced to replace cabling located in walls, ceilings, or raised floors. And the equipment connected to the fiber links should also be updated. It would be time-consuming and high-cost task, which won’t be the best choice of some companies with tight budget or lacking of time. With 1000BASE-T, these problems would be solved easily. 1000BASE-T preserves Ethernet equipment and infrastructure investments, including the investment in the installed Category 5 cabling infrastructure. Flexible 100/1000 and 10/100/1000 connectivity—1000BASE-T support data rate ranging from 10 Mbps to 1000 Mbps. Flexible 100/1000 and 10/100/1000 connectivity will be offered and will enable the smooth migration of existing 10/1000 networks to 1000 Mbps-based networks. Used in conjunction with 1000BASE-T SFP, 1000BASE-T can provide highly cost-effective shared gigabit service. Various 1000BASE-T SFP transceiver modules that can enhance the performance of 1000BASE-T systems are being provided by current vendors. 1000BASE-T is a time-saving and cost-effective solution to upgrade the LANs to have Gigabit Ethernet. With the big advantage of cost-effective, 1000BASE-T are being widely applied. As technology advanced, various products are being provided to enhance the 1000BASE-T performances, like 1000BASE-T SFP module. Fiberstore provides a wide range of telecommunication products including 1000BASE-T SFP transceivers and Category 5/5e products. 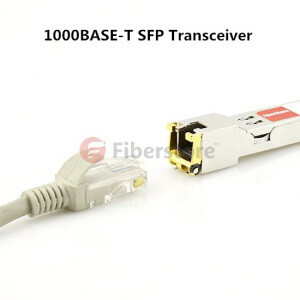 You can visit Fiberstore for more detailed information about 1000BASE-T. Fiber optic transceiver including both transmitter and receiver in a single module is an important equipment transmitting and receiving data to support the normal operation of optical fiber data transmission system. The market currently offers a wide selection of fiber optic transceiver for use with different types of wire, fiber and wavelength and so on. A group of companies joined together to agree on package standards also called multisource agreements (MSAs). The package standards help customers choose the best transceivers to their applications and make sure the they can use transceiver from multiple vendor without redesigning the board. In the following text, some common fiber optic transceivers according to package standards are introduced in details. 9-Pin transceiver is also known as 1×9 optical transceiver. This transceiver has a single row of output pins at the rear of the device. The optical interface is usually ST or duplex SC receptacles. It is mainly used in fiber optic transceiver, optical switches, single/multi-mode converter as well as some industrial control applications. GBIC transceiver, namely gigabit interface converter transceiver, is a plug-in interface designed to allow a pluggable interface for Gigabit Ethernet. It offers a standard, hot swappable electrical interface and can support a wide range of physical media from copper to long-wave single mode optical fiber, at lengths of hundreds of kilometers. However, this type of transceiver is gradually replaced by SFP transceiver which has more advantages. 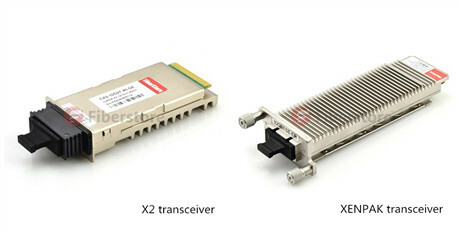 SFF (small form-factor) transceiver is a compact optical transceiver used in optical communications for both telecommunication and data communications applications. Compare to 9-pin and GBIC transceivers, SFF transceivers is smaller allowing more ports in a given area. SFF transceivers have 10 or 20 I/O (input/output) pins that solder to the board. SFP transceiver, small form-factor pluggable, small hot-pluggable optical module is a pluggable version of SFF transceiver and an upgraded version of the early GBIC module, with 10 I/O connections at the rear of the package. With smaller volume and higher integration, it is currently the most popular fiber optic transceiver. 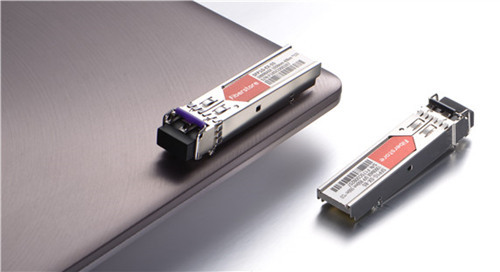 SFP+ transceiver, also called enhanced SFP or SFP plus, with a higher transmission rate usually up to 8.5 G or 10 G, is a kind of optical transceiver module specified for 8Gbps/10Gbps/16Gbps fiber channel and 10Gigabit Ethernet applications. XFP transceiver, 10Gigabit small form-factor pluggable transceiver, is the next generation SFP transceiver for 10Gbps application. This type of transceiver is hot-swappable and protocol-independent and is usually used to 10Gbps SONET/SDH, fiber channel, Gigabit Ethernet and other applications, but also of CWDM DWDM link. XENPAK transceiver is a pluggable transceiver for 10Gbps applications, specifically 10 Gigabit Ethernet. The electrical interface is called XAUI, which provides four 2.5Gbps signals to the transmitter, which multiplexes or serialize them into a single 10Gbps signal to drive the source. It uses a 70-pin electrical connector. The optical interface is usually a duplex SC. X2 transceiver is based on the XENPAK transceiver standards. It is shorter than XENPAK transceiver but uses same 70-position electrical and duplex SC interfaces. Unlike XENPAK, X2 devices mount on top of the board and are low enough to allow boards to be stacked side by side. With the continual?expansion of business data center, the most several difficult problems for them are mainly about divided network environments, simple says, separate data network, separate storage network, separate calculation?network, protocols and there are different disadvantages of standards. Different networks need different cards, space, power and cooling infrastructures for their business. Interspersed interlaced network cabling may make many administrators feel dizzy. Aimed at different network environments, the company needs a professional technical team to support, manage, maintenance, these problems all block the forward developments of data center, let alone meet the future of cloud computing. 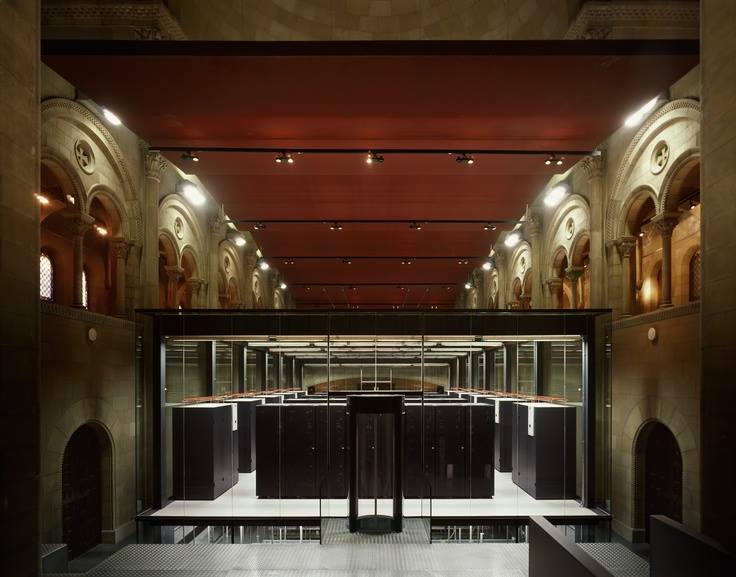 ?The figure shows?modern data center. You may ask, what qualities we are taken for the next generation data center networks? Now we can see the characteristics, such as simplicity, virtualization features, can accommodate the expansion of the size of the data center, support higher bandwidth, low latency, non-blocking and so on. But as for these features, mainstream network equipment vendors aimed the advantages of their products and solutions to this goal, so if there is an architecture able to support these features do? The answer is yes, unified architecture (Unified Fabric), regardless of Cisco UCS. Brocade VCS, juniper3-2-1 plan, H3C’s unified fabric, also exist Unified Fabric. This page we just say two points. With the reduction of gigabyte networks at the server connections, Gigabit Ethernet share is rising, which maily due to the growth in the enterprise data center network traffic.In fact, with the 40G / 100G standard developments, it is sure that Gigabit Ethernet replacing the gigabyte networks, the birth of the Gigabit sfp+ transceiver?standard which has low power, sfp+ direct attach cable?can be achieved in the case of low-cost Gigabit Ethernet. And just mainstream might not be enough, the following what I will be introduced to toward greater success. FCoE is one of the most shining technology data center network currently, any vendors have to talk about the technology of the developments of their products. FCoE refers to the Fiber Channel over Ethernet, it can insert fiber channel information into the Ethernet packet, so that the Fiber Channel storage devices -SAN server requests and data can be transmitted over an Ethernet connection, without the need for a dedicated Fiber Channel fabric . Its main benefits: First, make storage traffic and network traffic share the same Ethernet cable and a fusion of the card, simplifying management and reducing energy consumption. Second, provide the same performance with optics. The third is the ability to integrate effectively existing SAN. Finally, you know, now i work for Fiberstore and in our website, we can provide the most advanced technology and the most effective way to help you solve the fiber optics problems, and at the same time, we also provide all the fiber optic products, such as 10 100 1000base t ethernet sfp, qsfp 4x10g aoc7m and glc fe 100lx rgd to buy. If you are interested, take a decision for it. As we know, SFP+ and QSFP+ transceiver module and fiber optic cables bring to people a wide variety of high density and low power 40 Gigabit, 10Gigabit, 1 Gigabit, and 100 Megabit Ethernet connectivity options over fiber or copper media. The example of 40G QSFP module will bring us to have knowledge of it. In 40G QSFP module data sheet, we can see that QSFP 40G SR4 break out in a 4 x 10 G mode for interoperability with 10Gbase sr interfaces up to 100m and 150m on OM4 and OM3 cables respectively, in another word, if i connect Nexus 55772UP equipped with “six true QSFP ports” to Nexus 7706 using QSFP 40G SR4 on the side of 5572UP, and 4 x cisco SFP 10G SR on the side of 7706 Somehow, i think that this is not impossible, but someone thinks that there are fiber optic cables with 40G interface on one side and 4 x 10G SFP (LC connector) on the other side. We can breakout the single 40G port into 4 separate 10 G ports and use a QSFP to 4 LC breakout cable to link one or more of 10G ports to the 7706. In fact, Cisco QSFP 40G SR4 module supports link lengths of 100m and 150m, respectively, on laser optimized OM3 and OM4 multimode fibers. It primarily enables high bandwidth 40G optical links over 12 fiber parallel fiber terminated with MPO/MTP multifiber connectors. It can be used in a 4 x 10G mode for interoperability with 10Gbase sr interfaces up yo 100m and 150m for OM4 and OM3 cables, respectively. The worry free 4 x 10G mode operation is enabled by the optimization of the transmit and receive optical characteristic of the Cisco QSFP 40G SR4 to prevent receiver overload or unnecessary triggering of alarm thresholds on the 10Gbase SR receiver, at the same time being fully interoperable with all standard 40Gbase sr4 interfaces. 4 x 10G connectivity is achieved using an external 12 fiber parallel to 2 fiber duplex breakout cable, which connects the 40GBASE SR4 module to four 10GBASE SR optical interfaces. Cisco QSFP 40G SR4 is optimized to guarantee interoperability with any IEEE 40GBASE SR4 and 10GBASE SR (in 4 X10G modes). The transceiver consists of parallel electric and optical products along with both transmitter and receiver functions as a single module. It is designed to be compliant to IEEE 802.3-2012 for 40G SR4 over 100 m of OM3 multimode fiber at a rate of 41.25 Gbps. This transceiver module has an option to work with four independent SFP 10G SR, IEEE 802.3 Clause 52 Compatible 10 G transceivers through an MPO-to-LC breakout cable (compliant at 100 m over 50 μm OM3 fiber). The transceiver is also fully compliant with the QSFP+ MSA specification SFF-8436 Shown at the Figure. To support a good increasing range of 10 and 40 Gigabit Ethernet applications, Fiberstore offers many qsfp transceiver types, each optimized for a different media and distance reach (LR4, PLRL4, 40G SR4, XSR4, CR4, CR, SRL, SR, LRL, LR, ER, ZR, and DWDM). Additionally, fiber SFP+ ports also support 3 Gigabit Ethernet SFP transceiver types for single mode fiber, multimode fiber, as well as Cat 5 copper cable. SFP is with higher data rate and new industrial standards and it is with more compact size compared with the former 10G transceivers X2 and Xenpak, it has greater ability for density installations. With the rapid development of fiber optic technologies, 10G Ethernet products are coming to fit the increasing demand for bandwidth. SFP plus is the 10G fiber optic transceiver used for 10G Ethernet and other high speed transmissions. It is the upgraded version of the former SFP transceivers (MINI GBIC), This post will focus on Juniper Networks SFP module EX-SFP-10GE-SR.
Juniper SFP transceivers are the most cost-effective standards-based optical modules fully compatible with Juniper Switches & Routers. The Juniper SFP modules are tested in-house prior to shipment to guarantee that they will arrive in perfect physical and working condition before delivered worldwide. Fiberstore provides Juniper compatible SFP transceivers which can be equivalent to EX-SFP-10GE-SR, EX-SFP-10GE-LR, SFPP-10GE-SR, EX-SFP-10GE-ER, etc. The following part will introduce Juniper EX-SFP-10GE-SR. This Juniper compliant EX-SFP-10GE-SR is a 10GBASE SR SFP module. The EX SFP 10GE SR transceiver module combines quality with low cost and gives you an ideal alternative except for the high price transceivers. The EX SFP 10GE SR is 100% compatible with all Juniper series switches and modules which support SFP transceivers. Here is a figure for you. This SFP (mini-GBIC) transceiver module is designed for use with Juniper Networks network equipment and is equivalent to Juniper Networks part number EX-SFP-10GE-SR. This transceiver is built to meet or exceed the specifications of the OEM and to comply with Multi-Source Agreement (MSA) standards. This product is 100% functionally tested, and compatibility is guaranteed. The transceiver is hot-swappable input/output device which allows a 10 Gigabit Ethernet port to link with a fiber optic network. OEM specific configuration data is loaded on to the EEPROM of the transceiver at the factory, allowing this transceiver to initialize and perform identically to an OEM transceiver. 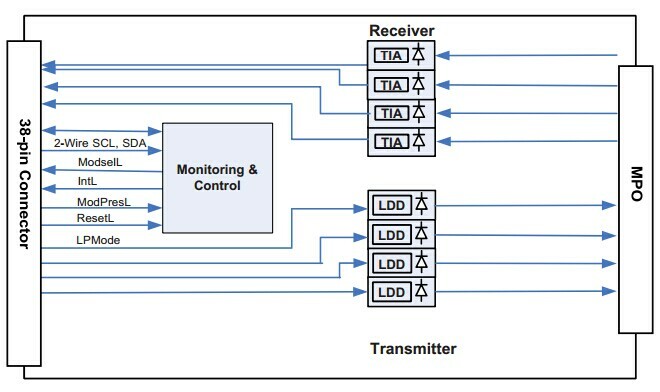 This transceiver may be mixed and deployed with other OEM or third party transceivers and will deliver seamless network performance. A list of compatible network equipment is available on the Specs tab of this page. FS.COM have a large quantity in stock transceivers and can ship in the Juniper EX SFP 10GE SR transceivers, you will find the cost effective modules here and you will find our Juniper EX-SFP-10GE-SR beyond your expectation, All of our module transceivers are tested in house prior to shipping to insure that they will arrive in perfect physical and working condition. Contact us today to save the time and cost by buying from original manufacturer directly. And now fiberstore is making a discount of 30% of the price about Juniper SFP.